The whole house was bathed in darkness. The heavy, dusty curtains had barely been drawn and the fire place in the main parlour was lit even though a latent heat hung in the air. Furniture was sparse. “It wasn’t me who sent for you,” Julien announced. “It was my twin.” He gestured to a girl seated on the floor by the fire. Her royal blue dress fanned out around her. Her thick coal black hair almost reached the bottom of her back. Like Julien, she had the most piercing shade of blue eyes. An older man sat in a bottle green sofa chair, staring blankly into the nothingness in front of him. His grey hair still clung onto the youth of its black roots. His beard was full but neatly trimmed. Annabelle turned her attention to the girl. “Why did you send for me?” she asked. Her attitude at the door with Julien having simmered down to a cold vehemence. “I’m Francesca,” said the girl. “That there in the chair was my father. We are the premier family and we have returned home. Come, I want to show you something.” Francesca took Annabelle’s hand and led her into the next room. It led from the main parlour but it was brighter and airier than the rest of the house. A mongrel dog lay cowering underneath a large dining table. “Come, Savo!” Francesca called to the animal. It drew itself slowly from its hiding place. Its ears dropped, eyes lowered and its tail quivering between its legs. Francesca held her hand out. The dog tipped her fingers with its nose. She smiled and drew her hand softly across the light brown fur. The canine responded with affection. Francesca flashed a smile to Annabelle., filled with radiance and malice in equal measure, before she tapped the dog between the eyes and it fell to the ground in a fit, its leg twitching. White drool gathered at the corner of its mouth. “He’s just a dumb dog,” said Annabelle. “So your going to make us all sick for your amusement?” Annabelle groaned, pursing her lips. Annabelle tensed her broad shoulders. She reached her hand out, laying it on the dog’s fading heart. Life fell away from him. “You decided death?” Francesca snickered. Choosing devotion is just the start of the journey. When the snow begins to fall red is when the tale truly begins. 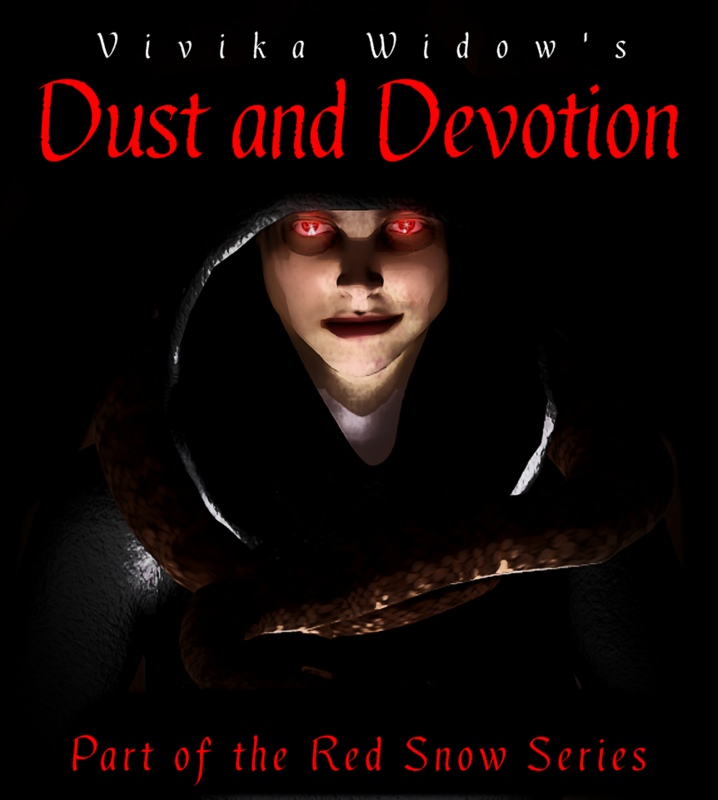 Click HERE to read RED SNOW. Join us for the Red Crown series. Available exclusively at Vivika Widow Online. Click HERE to read.